Today is 17 May, Norway's Constitution Day, the biggest national celebration of the year. Tomorrow I'll post pictures of the parades, national costumes, the king and queen, and the spectacular weather we enjoyed all day. Tonight, all I have energy for is a simple post about a singular pleasure. The sun was still high in the sky as we took an after dinner walk down to the fjord. We walked the bike path by the quiet harbor, leaving behind the pump and whine of ten thousand parties vibrating throughout the city center. The water was glass. The green of the spring-plump trees like alien flames against the sky. It was good to stretch our legs and find some time away from all the activity. Spectating on days like today is fun, of course. We ogle the colorful bunader , silver jewelry glittering at the waists, the wrists, the throats. We bob along to the bass beat as marching bands pass by playing songs we do not recognize. But under it all, there is a danger for foreigners like us. Days like today, we feel freshly outside. Untouched. Unnecessary to this long-standing tradition. This is not our history. And while tourists are able to run back to the familiar confines of their home countries and rejuvenate their own sense of identity and national pride, expats aren't so lucky. This is our home. Even when we have not the language nor the costume nor the roots of everyone else around us. Dressed down this evening, I in a Mickey Mouse t-shirt and Jonathan with a camera slung over his shoulder, we looked like tourists. But the folks in the RV on Drammensveien flagged us down anyway. They were a couple in their early sixties. He had a map spread open over the steering wheel. I could see the familiar shape of the Oslofjord in blue. His accent seemed German. "We're visiting Oslo and looking for a camping place," he explained. "Someplace to park and camp." A year ago, Jonathan and I would have only been able to shrug, apologize, and move on. But now, this is our home. "There's a place just outside the city," Jonathan said, slipping his iPhone from his back pocket. He turned to me and asked, "What was the name of that place with the museum and the old estate? The one you wrote about?" It took a couple of minutes, but with our heads together we located Bogstad Campground on the map and showed it to the driver. His wife was kneeling in the passenger seat, leaning forward toward us. She wore her glasses propped up on her forehead like a lecturing professor whose bifocals give her motion sickness. Her hair, dyed a dark auburn, was pulled severely back into a bun behind her head. She grinned at me. "Where are you visiting from?" I asked her across the map. "Switzerland!" she said. Up on her knees and smiling, she looked more like a kid on her first road trip than the seasoned traveler their sleek RV proved them to be. "Our other favorite place," I said. "We love Zurich." The husband looked up from the GPS where he and Jonathan had been tapping in the address of the campground. "Zurich?" he asked, verifying. His eyes sparkled. "Zurich is beautiful. We're from Lucerne." A minute more and the GPS lady had piped up with instructions in German. We stepped back away from the RV, but the woman called us forward again. 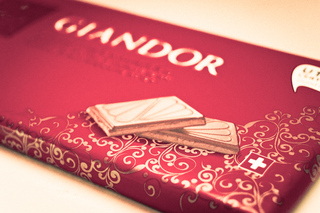 She reached across her husband to hand Jonathan a large bar of Swiss chocolate in a bright red wrapper. In that moment, as the four of us laughed and thanked each other for the gifts, for directions and chocolate, I felt many things. These wanderers were family, friends, even a future version of us. And our interaction had reminded us, on this day of ultimate foreignness, that we are home here in Oslo, and more so all the time.